Please find below a link to purchase from Paypal. Alternatively please contact me to arrange payment via cheque or bank transfer. Price: £15 (£16 from Paypal). This price includes UK Postage & Packaging. 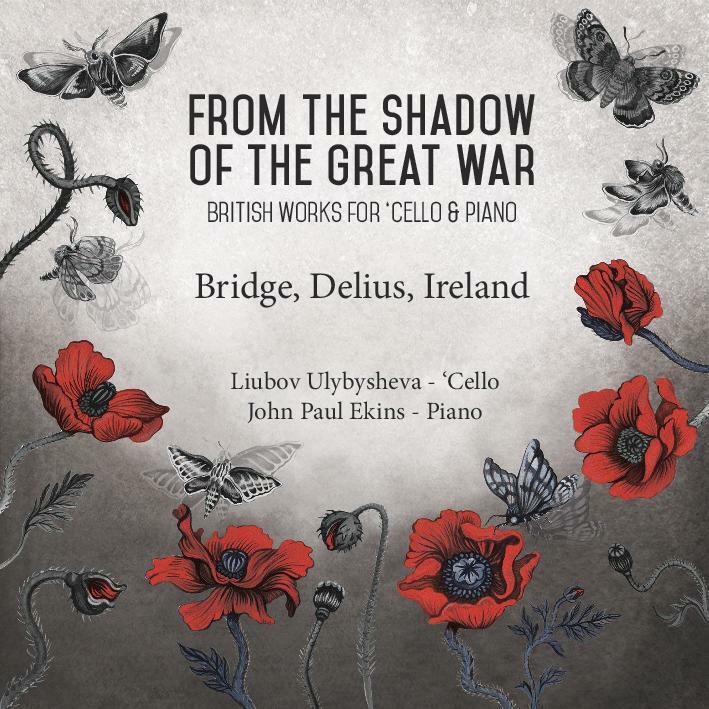 A few years ago, a request to perform the Bridge Cello Sonata resulted in the music leaving such a deep impression on us that we started to delve deeper into post-war British repertoire, becoming heavily inspired and influenced by it in the process. 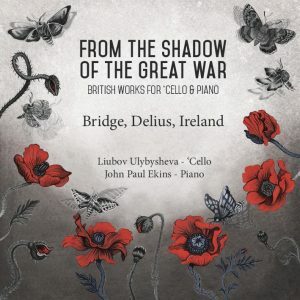 We wanted to link together music that had been written as a reaction to the events of 1914-18; among the many works that we found, there was one with which we felt an immediate connection: John Ireland’s Cello Sonata, written in 1923, similar to the Bridge in its brooding and ominous evocations. Set against these two works, we added a short sonata by Delius, totally contrasting in mood. Though written in 1916, just a year after Delius fled to London from German advances in France, this piece has an incredibly dreamy, almost Debussy-like character, with none of the dark intensity found in the Bridge and Ireland. To complete our programme we chose a series of earlier short pieces by Bridge. These were written before the war and are considerably lighter in mood. 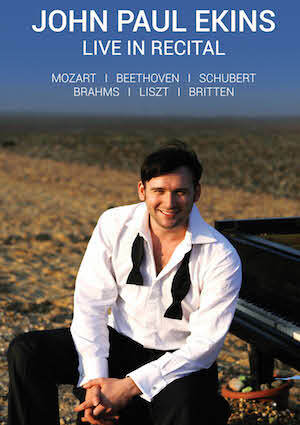 Though the overall mood of the the pieces is understandably dark, none of them is devastatingly so, and one might even argue that all three sonatas have something of a triumphant ending. Thus our message is one of hope, as 2018 sees us commemorating one hundred years since the end of The Great War, and look ahead to a peaceful future, in Great Britain and abroad. Price: £12. This price includes UK Postage & Packaging.